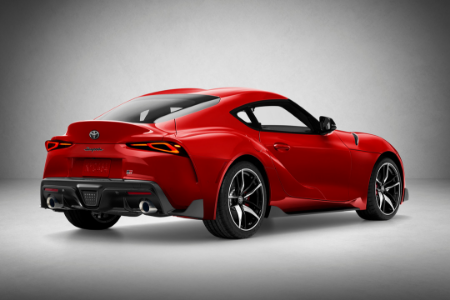 Toyota Supra » When Will the 2020 Toyota Supra Be Available? Have you heard the big news? The Toyota Supra is back! That’s right, Toyota’s legendary sports car has finally returned after 21 years away with the new 2020 Toyota Supra! Drivers have been begging for a new Supra for years, but how long will they have to wait to get their hands on the new 2020 Supra? Since Toyota made the announcement in July of 2018 that the Toyota Supra would finally be making its long-awaited return, drivers and sports car enthusiasts have been dying to hear any new information. Finally, in January of 2019, the 2020 Toyota Supra made its world debut at the North American International Auto Show in Detroit. But how long will drivers have to wait until they can finally get their hands on one? Toyota has not set an exact date or month for when the 2020 Toyota Supra will begin hitting dealerships nationwide, but they have said that the 2020 Supra will go on sale in the summer of 2019. That’s still some ways away, but it gives us the chance to tell you more about the new 2020 Toyota Supra! How Fast Will the 2020 Toyota Supra Be? Of course, the first thing that all drivers want to know about the new 2020 Toyota Supra is, how fast is it? The Toyota Supra was always one of the most high-performing and fastest sports cars since its creation in 1978. But what does the fifth-generation 2020 Toyota Supra have to offer in terms of speed? Don’t worry, 21 years after the last new Toyota Supra hit the streets, the 2020 Toyota Supra hasn’t lost a step! 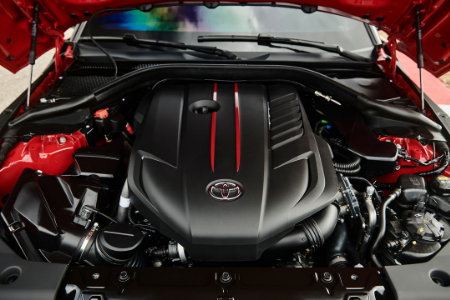 Thanks to its incredible engineering, aerodynamic design and powerful engine, a 3.0-liter twin-scroll turbocharged inline six, the 2020 Toyota Supra can go from 0-60 mph in just 4.1 seconds and hit a top speed of 155 mph! Want to learn more about the 2020 Toyota Supra? Keep up with our blog for more information as we get closer to the Supra’s release date! This entry was posted on Thursday, January 24th, 2019 at 3:31 pm	and is filed under Toyota Supra. You can follow any responses to this entry through the RSS 2.0 feed. You can skip to the end and leave a response. Pinging is currently not allowed.